Many people hesitate to purchase a leaf blower since they think that the machine can only be used to blow fallen leaves. They are concerned that when the fall season is over, the machine will just be kept idle throughout the year until the next fall. Surprisingly, a leaf blower is a utility equipment and has multiple uses. This means that it can be used all year round without necessarily having to blow fallen leaves! Below are some of the alternative uses of a leaf blower. A leaf blower comes in handy when you need to move powdery and light snow either from your pavement, car or lawn. The best thing about using a leaf blower and not a shovel is that the work is done faster and more efficiently. This reduces chances of experiencing back pains associated with shoveling snow. Both the corded and wireless leaf blower can be used to perform this task. You don’t have to keep your small leaf blower in the garage only waiting for leaves to fall! Make your investment count by using it to move the snow at your home! Clogged gutters can get you in trouble during rainfall. When your gutters are clogged with leaves and other debris matter, you are at the risk of getting your home flooded! The structures can be weakened and at the end of the day, you might incur huge costs of repairing the home. To avoid such calamities, you need to clean your gutters at least once a year.Blowing away the debris and leaves is one of the best ways to clean your gutters. A wireless leaf blower is more efficient here as there is no risk of the cord getting snagged when you are up there on the ladder. This doesn’t mean that a corded one cannot work. You just need to be creative! Drying a wet car after washing is tedious using a cloth. If you leave the car wet, then spotty finish will result and more dirt is attracted! A leaf blower can dry your car faster and at the same time making sure that the paint is protected. The leaf blower can also be used at a commercial scale to clean the interior of the car as well as drying them in a local car wash.
Before drying your car, make sure that the leaf blower is clean otherwise you will just dust the car! A dryer with clogged vents poses safety risks at home. Clogged dryers tend to consume more energy and this raises the electricity bills as well as making the machine tear faster. You don’t have to undergo such trouble anymore! You can use a leaf blower to blow away any dust and other debris stuck in the vents. While doing this, you also need to be careful not to damage the dryer. 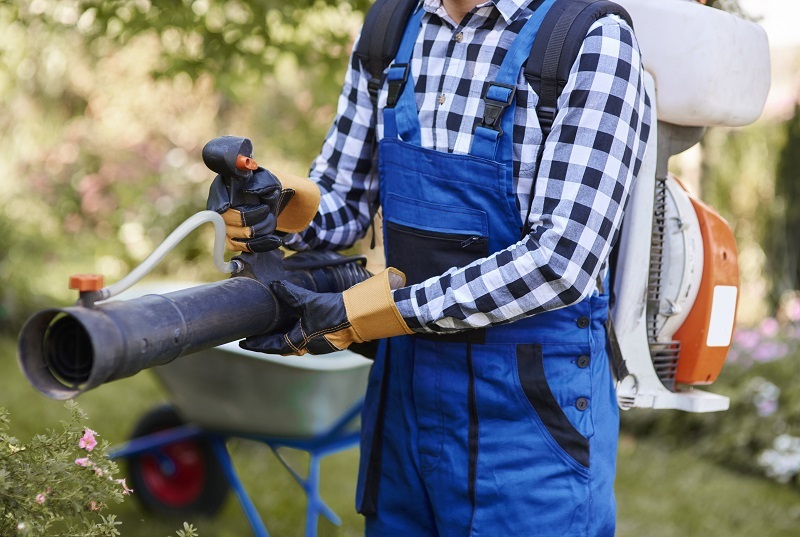 Using a leaf blower is one of the easiest ways to clean clogged dryer vents! Spider webs are annoying and can be attributed to laziness or untidiness! You don’t have to struggle while getting rid of them. 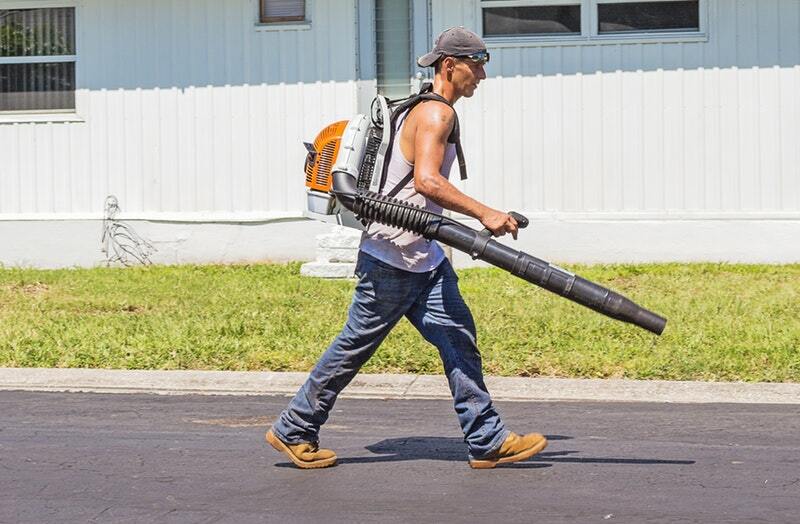 A leaf blower will make your work easier and faster. You can blow away the spider webs in seconds and make your house clean and presentable! The best thing about using a leaf blower is that you can reach even the remote parts of your house! You just need to direct the air in their direction and have the work done! To efficiently and effectively clean a lawnmower, you need a leaf blower to remove any stuck grass and other materials that have accumulated over time. This is better than bending down and doing the job using your own hands! Every piece of stuck debris is removed and your lawnmower is leaf clean and ready to mow your lawn better! This is an unusual use of a leaf blower but works very well. Most electricians use the electric leaf blower to run the wires through in the conduits especially when the wires are light. One end of the wire is attached to a foam or a cork and placed at one end of the conduit, then the air from the leaf blower is used to drive the wire to the other end. A wind blower is a worthy investment. You don’t have to keep the equipment lying idle when there are no leaves to be blown! A wind blower is a multipurpose machine which is handy in most domestic tasks that require blowing. Who knows, maybe through your creativity you will discover another use of the leaf blower!